Juliannah Richmond brings a different kind of vibe to Basketball Wives: Season 2, VH1’s hit reality show. 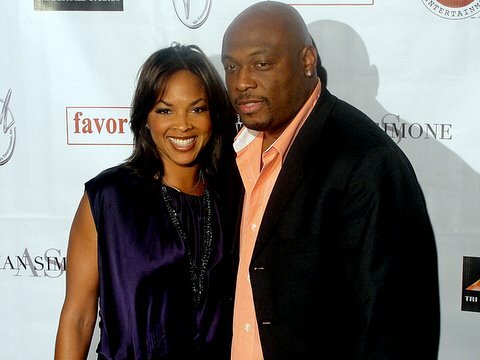 Married for 17 years to former NBA star Mitch Richmond, Juliannah, much like her close friend Kimberli Russell, another co-star of the show, gives an added, in-depth perspective that was lacking in the first season. The show, which has been controversial to say the least in its portrayal of NBA wives and girlfriends, has struck a different tone in the second season. Or at least it’s trying to. That’s because both Juliannah and Kimberli serve notice to viewers across the country that everything is not wild and loose with players, their spouses and girlfriends. In fact, former and current players alike have been initially apprehensive about supporting the show. Mitch Richmond, a six-time NBA All-Star, wasn’t feeling the show at first. He eventually gave his wife his blessings to do the show, Juliannah said. “Mitch didn’t want me to do it,” Juliannah Richmond said an interview with news4usonline.com. “He thought it was a lot of drama and it focused on the negatives aspects of ‘ballers.’ Mitch is also still affiliated with the NBA. It’s his job. [But] at the end of the day he supports me. Believe it or not, there is decency and normalcy to the women and families of NBA players. All players’ wives and girlfriends aren’t hanging out at the mall, sipping on vodka and gossiping. Everyone is not into the back-biting and cattiness that at times can dominate the show. Some of the women run charitable foundations. There are business owners. Attorneys are showcased. Juliannah is branding her future as an interior design consultant, hoping to translate that into a budding entrepreneur career. Up until her husband’s 14-year NBA career had officially closed, Juliannah Richmond had largely been involved with some of the league’s chartable functions, raising the couple’s children and working tirelessly with Behind the Bench, a nonprofit organization run by NBA wives to help and support women and children. Juliannah has now turned her attention to going inside of Spec homes (houses built for resale) and leaving her fashionable imprint on them. She’s enthusiastic about her business venture. Juliannah got the itch to decorate homes when she assisted an interior decorator in the remodeling of her home. But creating and fixing up stuff has been in her blood for a long time. She grew up helping out her mother in her place of business. A few years back, Juliannah went out and started a furniture and custom candles company. While that business venture didn’t pan out for her, Juliannah, believes she has found her niche in decorating homes. As a result, Jexy by Juliannah was created by the sociology graduate. The feelings that Juliannah brings to the second season of Basketball Wives is a refreshingly blunt take on relationships and marriage. Juliannah was added as a cast member after being approached by Shaunie O’Neal, the former wife of Shaquille O’Neal and the show’s executive producer. Juliannah, who dated her husband for four years before they tied the knot, said there is no such thing as a yellow brick road to sustaining a longtime relationship or marriage. “Marriage is not black and white,” said Juliannah. “Anybody married or in any kind of relationship, relationships with friends, there are ups and downs. If you love each other, it will all work out. I didn’t come in (to the show) thinking that I’m a wife and everything is perfect. Marriage is a commitment of hard work. You go through ups and downs but if you stick it out, learn, and mature you can have a successful marriage. Lately, Juliannah has been working to help dismiss some of the negative stereotypes about NBA players and the women romantically connected to them by being a voice of reason in her television debut. End of the Road for Big 3 and Heat?